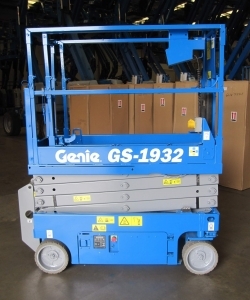 Compact indoor use only, one person lift with a working height of 6.47m. 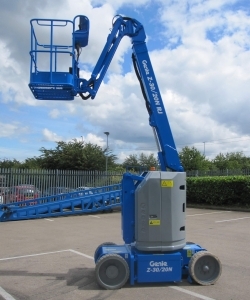 6 month warranty and new 6 moth LOLER is supplied with this popular Genie GR15. Smallest Runabout in the family with a working height of 5.45m, width of 0.75m and weighing only 742kg. Supplied with a 6 month warranty and new 6 month LOLER cert. One man vertical lift with a working height of 6.47m and only 0.75m wide. Very popular with Theatres. Supplied with 6 month LOLER and 6 month warranty. 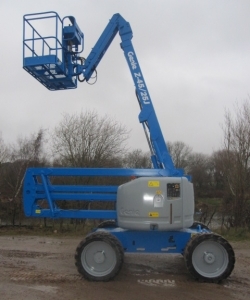 Popular model with a 9.92m working height, only 0.81m wide and two person occupancy, for indoor use only. 6 month warranty and 6 month LOLER. 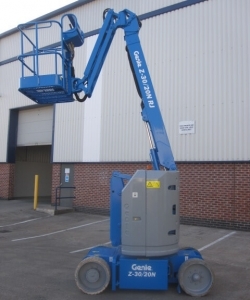 Compact indoor use Genie Runabout with a 6.47m driveable working height. Supplied fully serviced and with a new 6 month LOLER certificate and 6 month warranty. 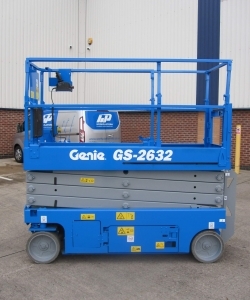 YOM 2011 electric scissor lift supplied fully re-sprayed, serviced and tested. New 6 month LOLER cert and 6 month warranty included.